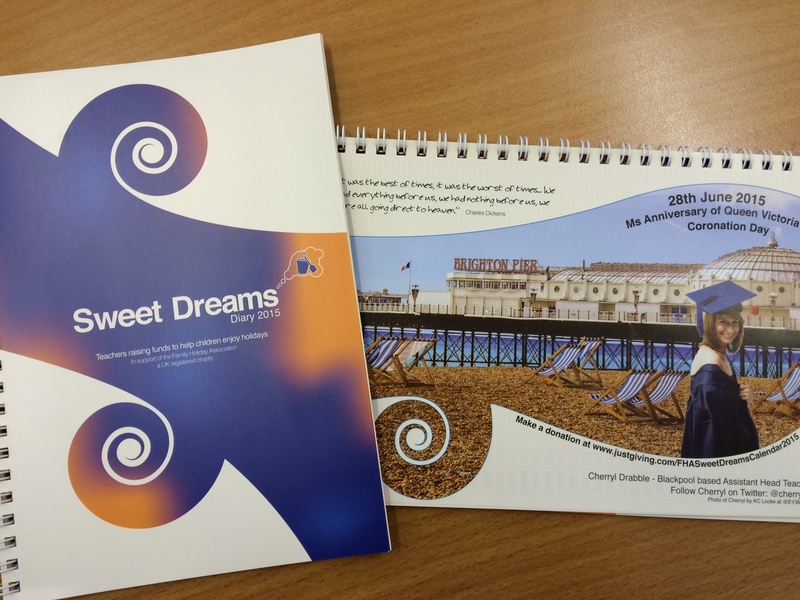 Thanks to a wonderful group of dedicated teachers we are a very proud to be able to offer the Sweet Dreams diary. In total, 43 teachers have contributed to creating this charity diary for 2015. They know each other from the Twitter teacher community and shared a desire to help children from under-privileged backgrounds to have the chance of going on a normal holiday with a parent, carer or guardian. 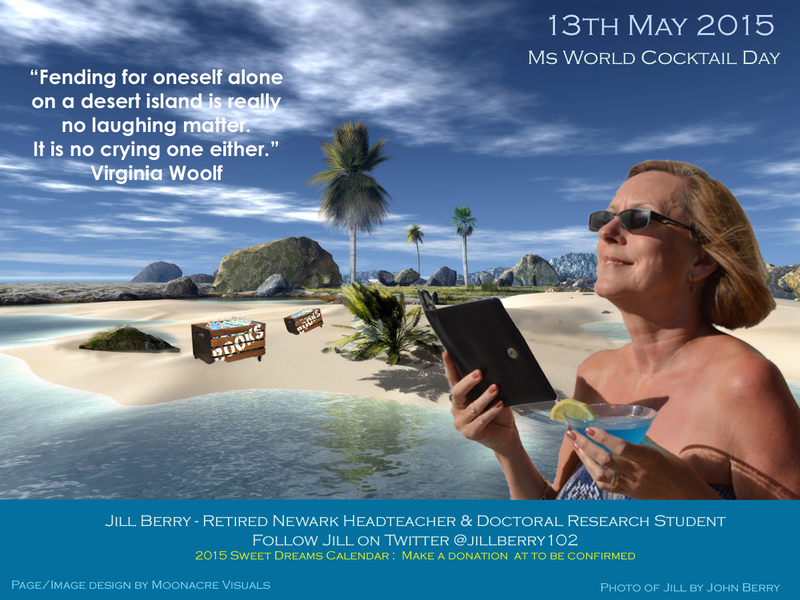 The inspiration to help underprivileged children go on holiday came from Keziah Featherstone @ChocoTzar, and then Carol Webb @CazzWebbo said, “let’s do a charity calendar!”, which then evolved into a diary. Carol then organised things to make it happen, leading the terrific teacher team that rallied round, and getting the diary into print. The diary is A5 spiral bound, 62 pages, month to a page and follows the theme of ‘A Dream Holiday’, with each teacher posing to camera with a backdrop of their dream holiday. Diaries are available to order NOW in return for a donation of just £5 (including postage and packing). All proceeds will benefit the Family Holiday Association, for which we are extremely grateful.